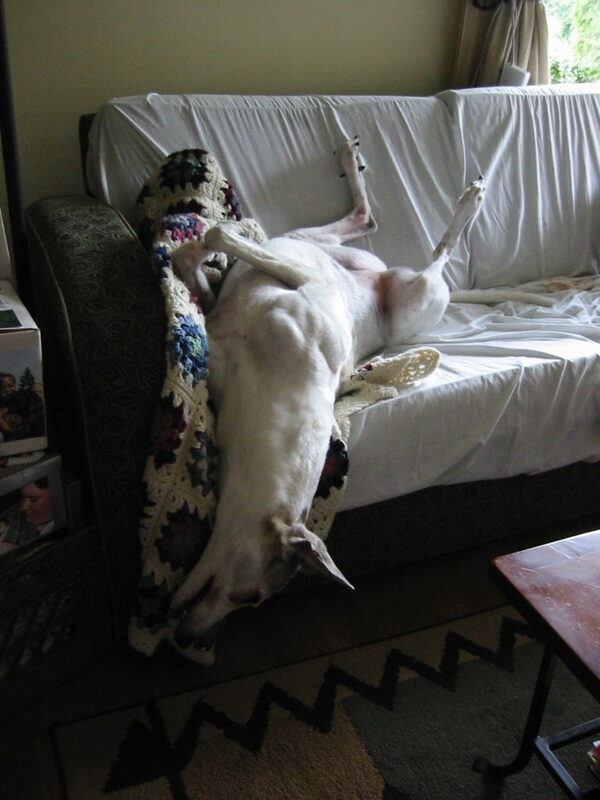 Gentle, sweet, and sensitive, the Greyhound enjoys short bursts of energy, but much prefers snuggling on the couch. Greyhounds are the oldest purebred dog, with the first records of greyhound-type dogs appearing about 8,000 years ago. In ancient Egypt, greyhounds were revered as gods, and only royalty were allowed to own them. The greyhound is the only breed of dog mentioned by name in the Bible. 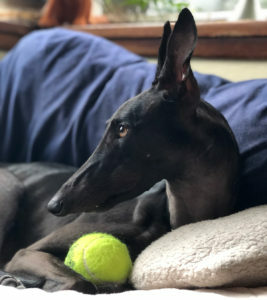 These dogs have a gentle spirit, more sensitive and passive than other dog breeds, and thus do not respond to harsh training methods or treatment. When fresh off the racetrack, they enjoy regular exercise, but will still devote plenty of time to naps. As they age, they are more comfortable with a lazy lifestyle, as long as they are in your company. Easy going, beautiful, quiet, and trusting. Hypoallergenic for some people with allergies to other breeds; clean, no dog odor. 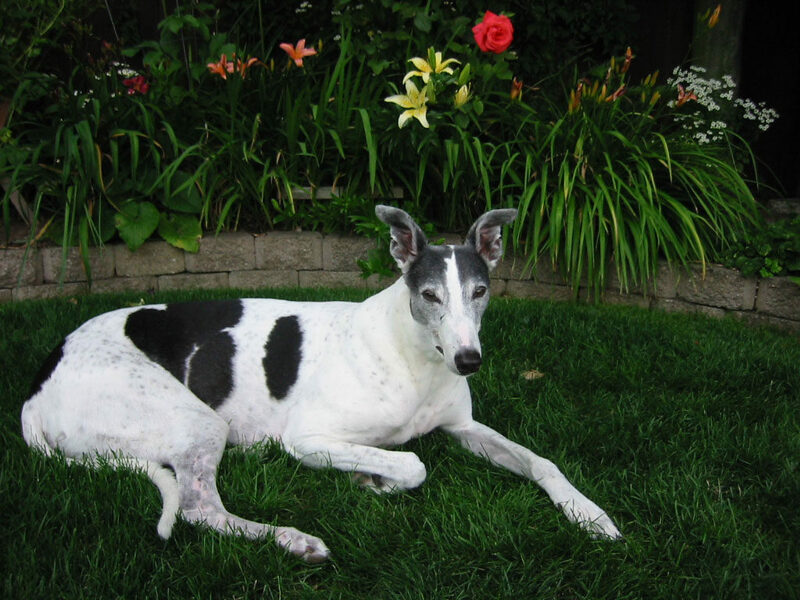 Greyhounds can vary, from as small as 45 pounds and 28 inches at the shoulder, to as large as 95 pounds and 32 inches at the shoulder. Females tend to be smaller, but this is not a rule. 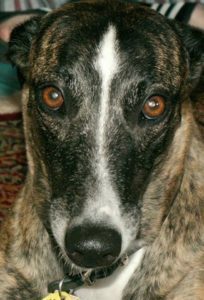 Any color or combination of colors, including brindle (except black and tan). Most Greyhounds are good with well-behaved or older children. Napping, leaning for pets, and more napping. 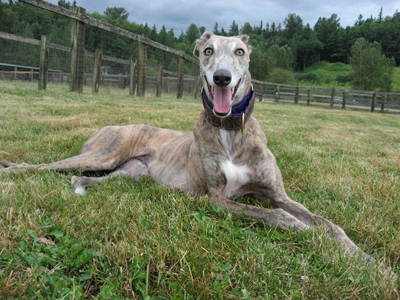 Greyhounds also excel in lure coursing, agility, showing, barn hunt, and other activities. Depends on the dog, most shed very little; some shed more as they age. Occasional brushing and baths as needed. Periodontal disease, cancer, irritable bowel, epilepsy; skin can tear easier than other breeds. Some come off the racetrack with tick-borne diseases.